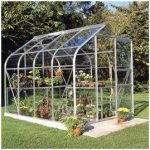 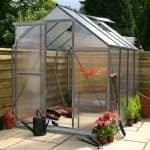 This 6 x 10 polycarbonate greenhouse looks great, and it has a polycarbonate covering that ensures UV rays do not cause a problem inside it. 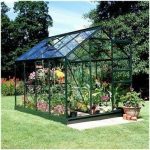 This means your plants are safer, and the building itself does not suffer any fading as part of its exposure to UV. 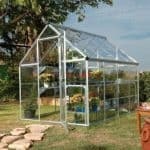 The polycarbonate also happens to be shatterproof so it is safer around children. 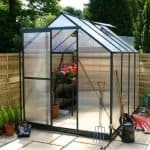 On the roof, an opening window allows for maximum air circulation, and also the opportunity to manage the temperature inside the building. 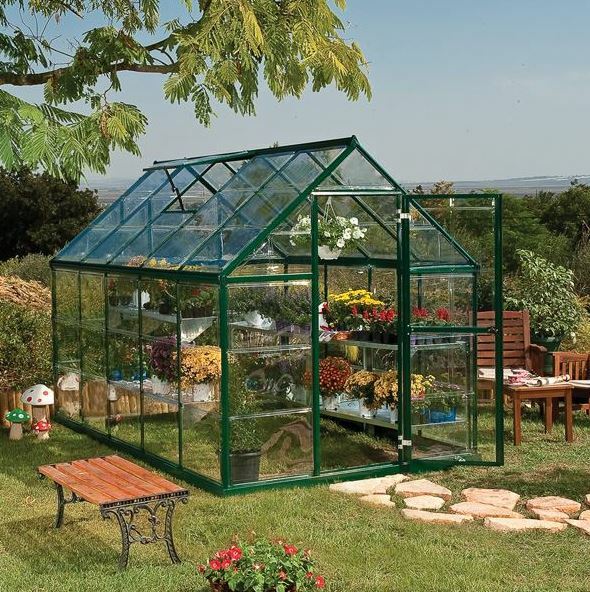 The green frame has been treated so it is completely rust-resistant.